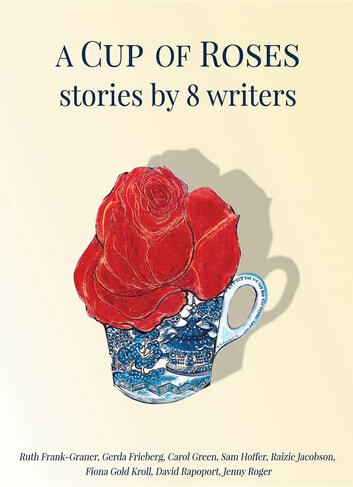 A Cup of Roses, Stories by 8 Writers brims with tales of joy, passion, humour, tragedy, history, food writing and poetry. These compelling narratives will surprise and provoke the reader to view life through unexpected perspectives. In 2012, award winning author and artist Ruth Frankel-Graner formed a writer’s group in Toronto. When Ruth suddenly died, author Fiona Gold Kroll assumed the helm and began the process of bringing Ruth’s dream of publishing an anthology to life. Four books have been published by individual group members along with short stories in *The Globe and Mail, The Canadian Jewish News, National Post, Gastropost Toronto, *community newspapers and medical post magazines. The group continues to meet weekly.